All of these objects were painted from life. Wild grapes grow in the side yard. It really is incredible how so many colors can be seen in nature. 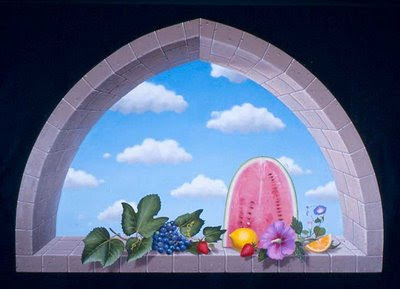 The opening to a blue sky with the Magrite like clouds is not a strict trompe l'oeil technique.